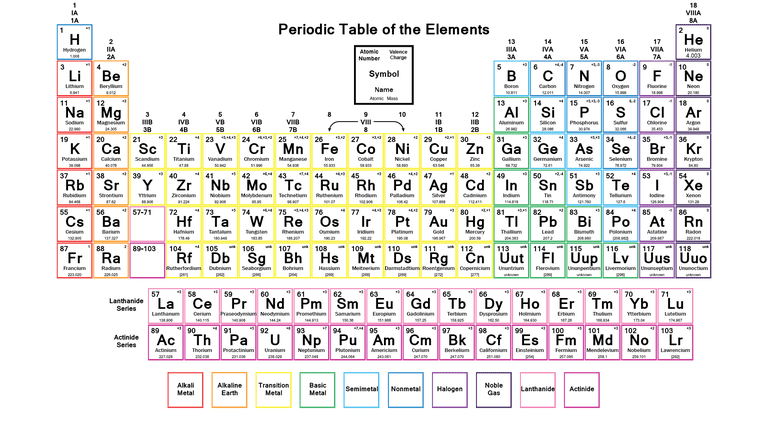 The Periodic Table is the table which arranges the chemical elements in a systematic form that is in a tabular form. 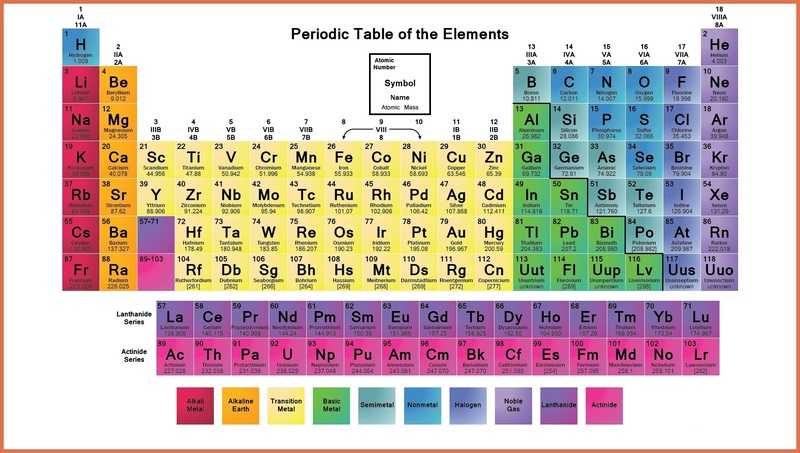 The elements are arranged from left to right in order of their increasing atomic number. Atomic number is the number of proton and neutron present in the nuclei of an element. Alkali Metals: These are placed in the first group of the table and include elements Lithium, Sodium, Potassium, Rubidium, Cesium, Francium. Rare Earth Elements: Such elements are located in the 3rd, 6th and 7th periods of the table. These are mostly man-made for example Curium, Cerium, Uranium, Europium etc. Noble Gases: Noble gases can be found in an 18th group of the periodic table for examples Neon, Argon, Helium, Krypton, Xenon and Radon. 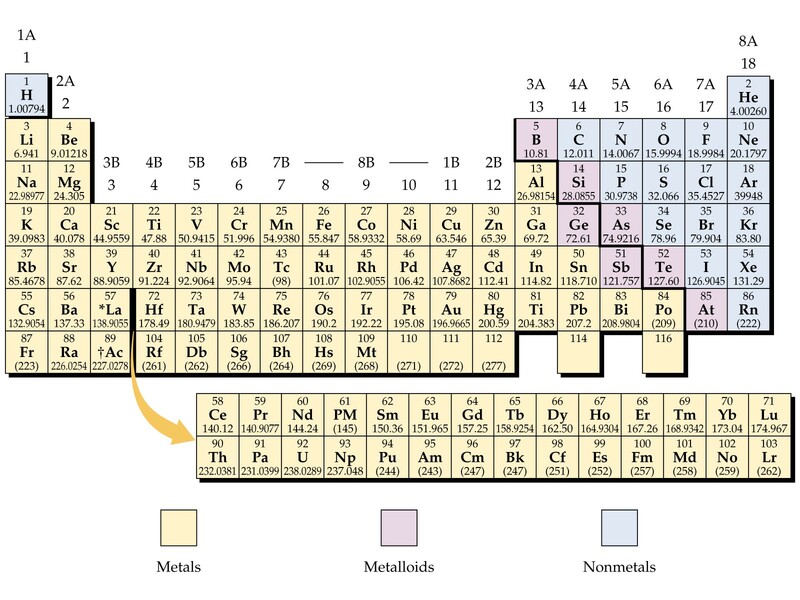 The elements which are classified as metals in the periodic table share a number of properties. All metals are solid at room temperature except Mercury, which is liquid at room temperature. All metals conduct have the property heat and electricity, and they are shiny in appearance. All metals can be changed to thin wires and sheets, this property is called ductility and malleability. Apart from these properties metals can also be characterized by their ability to easily lose electrons.